*Coupon code VALPAK10 valid thru November 30, 2019. Cannot be combined with any other offer. Offer does not apply toward contact lens solutions, lens accessories or taxes. Not available in Puerto Rico. Order must be placed by 11:59 p.m. Central Time on November 30, 2019 to qualify. With coupon only. With Valpak® coupon only. Coupon void if altered. Ordering contact lenses with a 25% discount from Walgreens.com is quick and easy. There are no worries about high shipping costs - shipping is FREE for your contact lens! Click on the link below and it will take you to the special Walgreens.com site where you can select your preferred contact lens brand, type, and measurements. Walgreens.com carries a huge array of manufacturers and brands, like Acuvue, Air Optix, FreshLook, Hydrasoft, Preference, Frequency, and many more. Can you believe - there is another surprise: rebates are available on selected contact lenses! There is also a fair and generous return policy. Click here and enter code VALPAK10 for your special 25% discount or give code VALPAK6 to the operator when calling 1-866-817-1631. 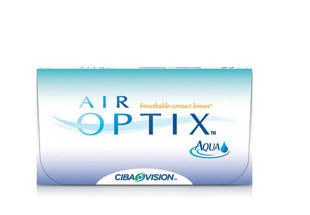 **Contact lenses automatically ship for free. FREE Standard Shipping also applies to general store merchandise, contact lens solutions and accessories under 10lbs when part of a contact lens order. Items ship separately. Acuvue, Bausch & Lomb, CIBA Vision, CooperVision. Color Lenses, Daily Disposables, Monthly Disposables, Multifocal Lenses, Toric Lenses, Vial Lenses, Weekly Disposables. Acuvue Oasys, Acuvue Oasys for Astigmatism, 1-day Acuvue Moist 90 pack, 1-Day Acuvue Moise for Astigmatism 30 pack, Acuvue Advance, Acuvue Advance for Astigmatism, Acuvue 2. 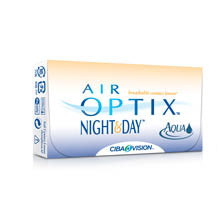 Air Optix Night & Day Aqua, Air Optix Aqua, O2 Optix, Air Optix Aque Multifocal, Air Optix for Astigmatism. Focus Dailies 90 pack, Dailies Aquacomfort Plus 90 pack, Focus Dailies Toric 90 pack, Focus Monthly Softcolors. Purevision, Purevision Toric, Purevision Multifocal, Soflens Toric, Soflens 38. Avaira, Biofinity, Biofinity Toric, Biomedics 55 Premier, Proclear Compatibles, Proclear Multifocal. Freshlook Colorblends, Freshlook Colorblends Toric, Focus Softcolors 1-2 Week, Freshlook Handling Tint, Freshlook Dimensions. Walgreens will accept returns of unopened, unexpired and undamaged boxes of in-stock contact lenses in original packaging sold through Walgreens.com, and must be returned by mail within 30 days of receipt. Mail lenses in the original packaging to our contact lens return center with label provided, including receipt. Circle the product(s) you are returning on receipt. You will be notified via email once we have received and processed your return., NOTE: Made-to-order lenses are not returnable.